An intermediate sewing pattern download by Sara Lawson of Sew Sweetness . This chic bowling-style bag features a handy top zipper opening as well as front double handles and a shoulder strap. 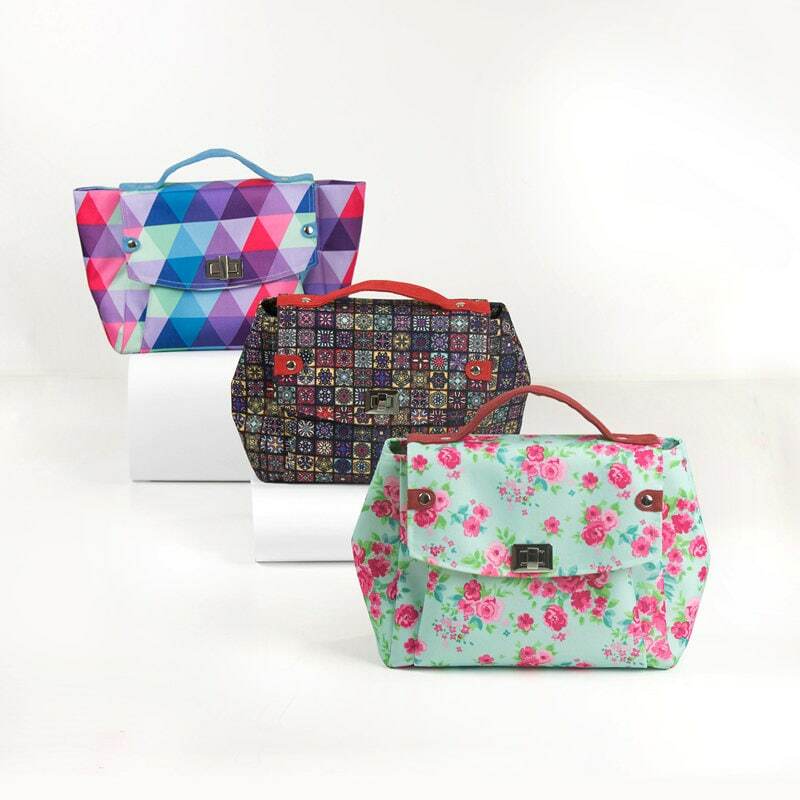 This designer pattern allows you to sew this bag in three sizes with some coveted fabric you have been saving for a special sewing project. The PDF pattern includes 27 pages of sewing instructions and full-size templates. Sara Lawson is also the author of Big City Bags and Windy City Bags and the designer of the Jungle and Fantasia fabric lines for Art Gallery Fabrics.